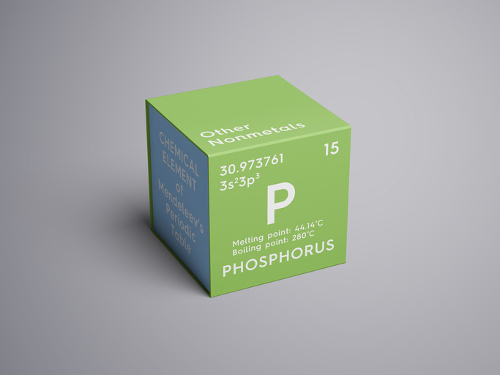 Phosphorus is an important mineral found in foods. However, many people don’t know just how important it is for the body. It is considered the second highest element in the human body, as it makes up about 1% of an adult’s body. It is also involved in hundreds of daily cellular activities that affect the skeletal structure and other vital organs like the heart, brain, liver, and kidneys. Phosphorus is needed to boost the body’s primary energy source called adenosine triphosphate (ATP), while also for smooth metabolism. It is also needed for moving and contracting muscles. Furthermore, it acts as an electrolyte to help the body with heartbeat rhythms, cellular activity, and regulating bodily fluid levels. This article is a feature profile on phosphorus and includes everything about the mineral’s deficiency symptoms, health benefits, and possible side effects, as well as the top phosphorus-rich foods and the recommended daily intake. We mostly get phosphorus from foods, but some comes from water as well. Since it is so abundant in those who consume lots of whole foods, its deficiency is not very common. On top of that, synthetic phosphorus is also added to many processed foods as a food additive. Added phosphorus is thought to contribute to up to 30% of an average adult on the standard American diet (SAD). Also, between 50% and 90% of the mineral from the diet is thought to be effectively absorbed. So, this highly reduces the likelihood of a deficiency. When it is in its phosphate form, it is effectively absorbed in the small intestine, especially when compared to other minerals like magnesium, iron, and calcium. High-protein diets also often increase the absorbability of phosphorus. At the same time, those on a low-protein diet are at greater risk of phosphorus deficiency than a diet higher in protein, especially one high in animal protein. Also, older women seem to be at greater risk of deficiency. Research published in Mayo Clinic Proceedings in 2004 shows that 10 to 15% of older women have phosphorus intakes less than 70% of the daily recommendation. This may be because older women often address calcium deficiency with calcium supplements that contain citrate salts or carbonate that binds to phosphorus. In turn, this can make it unavailable for absorption. Too little phosphorus is called hypophosphatemia in medical circles. A deficiency of this mineral may also coincide with low vitamin D and calcium. This can lead to soft and weak bones over time, and muscle and joint pain. The mineral plays a major role in bone health and prevention of osteoporosis, tooth decay, and bone fractures. It is also useful for detoxification, metabolism and nutrient utilization, digestion, cognitive function, and maintaining energy levels. Also, since phosphorus essential for building bones and nutrient absorption, it is important for the growth and development of young children. Let’s take a closer look at the major health benefits of getting enough of this important mineral. Phosphorus and calcium are both needed for the maintenance of the strength and structure of bones. Since bones are mostly made from calcium phosphate, both calcium and phosphorus levels must be balanced to maintain optimal bone health. As a result, it helps form bone mineral density, and this prevents osteoporosis, and bone breaks and fractures. At the same time, when there isn’t enough of it in the body, calcium is unable to maintain and build bone structure. High calcium levels from supplementation can block phosphorus absorption. And this is not considered a good thing for bone health since both minerals are needed for bone mass formation. It is a key mineral for proper kidney function. As a result, it is helpful for toxin and waste elimination through urination. The kidney and other digestive organs balance levels of water, sodium, fat, and uric acid with electrolytes like magnesium, potassium, and magnesium. Phosphorus is also very important for metabolism and nutrient utilization. For example, it is needed for properly synthesizing, absorbing, and using key vitamins like vitamins B2 and B3. It also is needed for amino acid synthesis. This results in better energy production, cellular function, and growth and reproduction. In addition, it supports healthy metabolism and fat and carbohydrate digestion. It does this through the production of digestive enzymes that are responsible for turning nutrients into useable energy. Phosphorus partially occurs as phospholipids inside the body. Phospholipids help balance the body’s pH level through buffering excess amounts of alkali or acid compounds. This process allows bacteria within the gut to thrive. It is also essential for phosphorylation, which activates digestive catalyst enzymes. It also directly clears diarrhea, constipation, indigestion, and prepares the digestive system for healthy bowel movements. As an electrolyte, the mineral also reduces water retention and bloating. Phosphorus can also improve energy and our mood. It does this by helping with the absorption and regulation of B vitamins—important nutrients for energy production. B vitamins also help release neurotransmitters in the brain, which in turn leads to a positive mood. It is also important to keep in mind that a deficiency of this mineral can lead to general weakness, fatigue, and chronic fatigue syndrome. Phosphorus, calcium, and vitamin D all play a key role in the formation and maintenance of dental health. It does this through supporting jawbone mineral density, tooth enamel, and healing tooth decay. Both phosphorus and calcium foods are needed to form teeth’s hard structure and develop adult teeth. Phosphorus deficiency during adolescent and toddler years is thought to stunt growth and lead to further developmental problems. During pregnancy, in particular, it is needed for the production of DNA and RNA. It is also necessary for proper brain function, such as the ability to learn, concentrate, and remember things. Brain and neurotransmitter functions rely on minerals like phosphorus to help support emotional, neurological, and hormonal responses. At the same time, studies show that a deficiency of this mineral is associated with cognitive decline and related disorders like dementia and Alzheimer’s disease. Teens need the most phosphorus since this is an important time for growth and development of bone mass. But, it is also why kids require more calcium. Calcium overdose is uncommon since the kidneys are able to control blood phosphorus levels while excreting any excess through urination. That said, consumption of high amounts of this mineral can be dangerous since it can disrupt calcium absorption and impair synthesis of active vitamin D metabolites. High amounts of this mineral may also cause heart complications due to an imbalance of minerals that regulate circulation, blood pressure, and kidney function. Getting too much of it from whole foods isn’t likely. But, you may be at risk if you take phosphorus supplements and eat a lot of packaged foods with added phosphorus. That is why it is important to know how much is recommended. Phosphorus is added to processed foods to improve shelf life, appearance, and flavor. Phosphate is in baking powder and products such as ice cream, processed cheeses, carbonated drinks, bread products, and meat-marinating ingredients. Although phosphate is considered a safe food additive, it is a better idea to obtain phosphorus from real, whole food. Whole foods high in phosphorus contain other natural minerals, which are necessary for balancing phosphorus levels. The following is a food chart that is a useful tool for helping you learn which phosphorus-rich foods can help you avoid a deficiency. Although too much phosphorus from food is rare, phosphorus supplements may be a problem since it can interact with other minerals and medications. That is why you should avoid these supplements until talking with your doctor first. Since most people get enough of the mineral from the diet, supplements are often not needed. Although rare, high phosphate is considered toxic, and it can cause symptoms like organ and soft tissue hardening, diarrhea, and interference with the balance of magnesium, calcium, zinc, and iron. High levels of phosphorus can cause mineral absorption problems when interacting with alcohol and blood pressure medication such as ACE (angiotensin-converting enzyme) inhibitors, as well as with antacids containing calcium, magnesium, or aluminum. Consuming too much of the mineral can also stress the kidneys and limit the absorbability of vitamin D. Bile acid sequestrates, some corticosteroids, and high insulin dosages can also reduce the absorption of phosphates in the diet. Although rare, possible deficiency symptoms can include osteoporosis, tooth decay, and anxiety. Along with calcium, phosphorus is needed for the maintenance of strong bones. It is also necessary for detoxification, digestion, nutrient utilization, dental health, cognitive function, maintaining energy levels, and more. Some of the top phosphorus-rich foods include sardines, sunflower seeds, salmon, and raw milk. “10 Amazing Benefits of Phosphorus,” Organic Facts; https://www.organicfacts.net/health-benefits/minerals/health-benefits-of-phosphorus.html, last accessed August 28, 2017. Group, E., “Discover 10 Nutritious Foods that Are High in Phosphorus,” Global Healing Center, January 15, 2016; https://www.globalhealingcenter.com/natural-health/top-10-foods-high-in-phosphorus/. “Combe, L., “How Your Body Uses Phosphorus,” Healthline, October 20, 2016; http://www.healthline.com/health/how-your-body-uses-phosphorus. Niedziocha, L., “Calcium, Magnesium and Phosphorus Health Benefits, January 28, 2015; http://www.livestrong.com/article/368873-calcium-magnesium-and-phosphorus-health-benefits/. “Dietary Reference Intakes (DRIs): Recommended Dietary Allowances and Adequate Intakes, Elements,” USDA; https://www.nal.usda.gov/sites/default/files/fnic_uploads//RDA_AI_vitamins_elements.pdf, last accessed August 28, 2017. “Phosphorus,” University of Maryland Medical Center; http://www.umm.edu/health/medical/altmed/supplement/phosphorus#ixzz3VbUdnAIV), last accessed August 28, 2017. Ashley, C., “What I tell my patients about the importance of calcium and phosphate,” Patient Information; http://www.ouh.nhs.uk/oku/patient-advice/documents/calcium-phosphate.pdf, last accessed August 28, 2017.